Tiny Tessa Truman-Ling sees patterns in the strangest things! One day, Tessa's mama sends her outside to play. There, in a game of hide-and-seek, she discovers a thrilling beauty in the patterns of nature. In the wonderland of her backyard, Tessa explores a bee hive, a mushroom ring, a pile of leaves, and makes friends with turtles, fish and butterflies. As she gets lost in the patterns, she discovers that the world outside has a startling and comforting order to it. 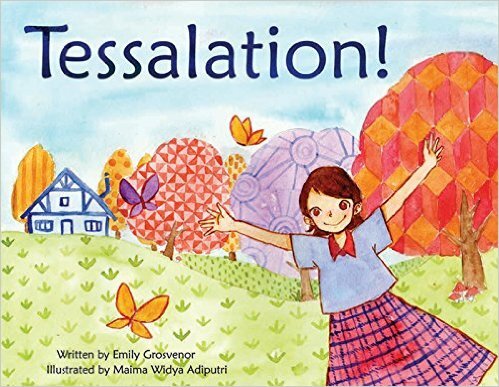 Join Tessa in this whimsical and engaging math picture book, which will teach children about tessellations and inspire them to get outside and be a part of nature!